I'm extremely skeptical of the idea of magnetic water softeners (strong magnets attached to pipes), but desperately wish it were true because I hate lugging 40# bags of salt out to my well house in the hot Texas sun. I'd love to see some objective research results on the subject from someone who isn't selling a magnetic water softening system. Substantially improve the effectiveness of soap products using the output water. Minimize scale buildup on fixtures, in pipes, and on dishes. The reason I'm being so specific is that I've seen some defenders of this technology that claim you get the benefits of soft water using their systems, but because of the way it works it doesn't show any difference on standard water hardness tests. That is, it is pseudo-soft water, but acts like soft water for all practical purposes. Just the fact that they have a miracle solution, that involves magnets, and is resilient to empirical testing makes me extremely skeptical. 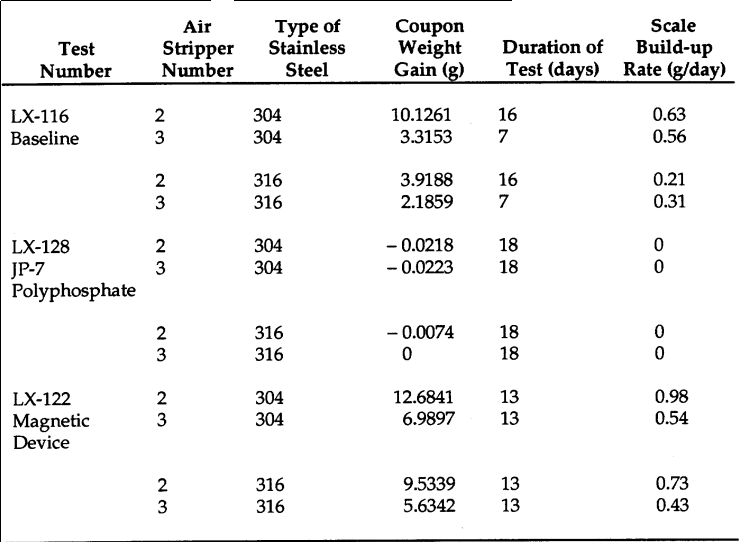 As you can see, the Polyphosphate chemical process was effective, and the magnetic one was not. The results of this study do not indicate any clear advantage for any of the three devices tested versus a control for the inhibition of mineral scale formation or the corrosion of copper. There was a study by Trinity College that concludes there is 99.9% chance that a magnetic water softener will reduce hardness to some degree, very interesting how it happens. Carbonates formed by heating water containing ≈120 mg(Ca)/l are characterized by X-ray diffraction and electron microscopy. Tests on 32 pairs of samples establish, at the 99.9% probability level, that drawing water through a static magnetic field (B≈0.1T, ∇B≈10 T/m) increases the aragonite/calcite ratio in the deposit. There is an incubation period of several hours, and memory of magnetic treatment extends beyond 200 h.
Not the answer you're looking for? Browse other questions tagged water chemistry magnets consumer-products magnetism .